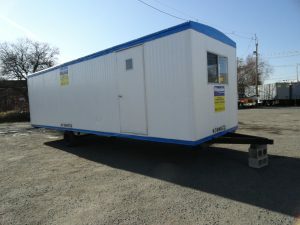 8×32 combo office trailers are the perfect combination of office space and storage! 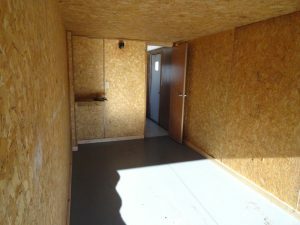 These units units feature an open floor plan office along with storage space that can be accessed both from within the office as well as at the rear of the trailer using a garage style roll up door. 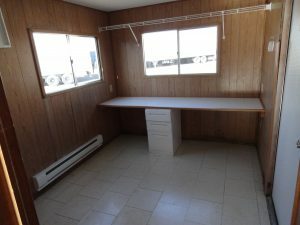 Your office space can be customized to meet your specific needs. 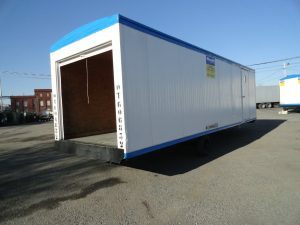 Check out our Accessories page to learn more about how Wayside Trailers can create something just for you! Protect your tools from foul weather and theft! This two in one unit will help you cover all your bases.